A major moment in the international art world calendar has arrived! Art collectors, aficionados, professionals, and luminaries from all around the globe flock to London to explore astonishing exhibitions, spectacular events and innumerable champagne receptions. 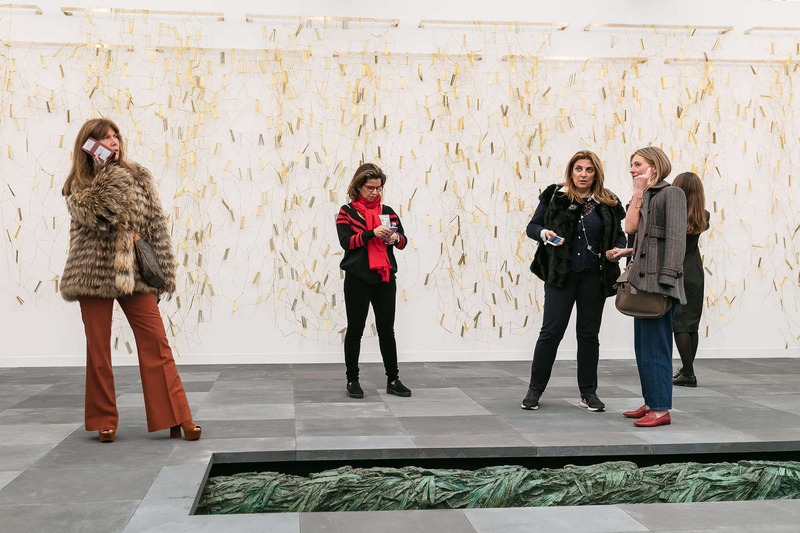 Frieze London and Frieze Masters feature hundreds of top galleries and internationally acclaimed artists catalysing one of the most exciting weeks of the year. Alongside the fairs, London’s diverse community of galleries, international institutions and arts organisations present some of their most ambitious projects during the week. With venues across the capital opening a vast array of breathtaking exhibitions and sensational projects, it’s worth planning your time well in advance. To assist you in getting the most out of the Frieze Week and avoid FOMO, Marek Wolynski has created an essential guide to London’s busiest art week. The highlight of London’s top art events brings together forward-thinking works from around 160 of the world’s top contemporary galleries. Social Work, this year’s themed gallery section, features women artists who challenged the status quo and explored the possibilities of political activism in their art making during the 1980s and ‘90s: from Nancy Spero in the US to Berni Searle in South Africa to Ipek Duben in Turkey and Helen Chadwick in the UK. Solo, group and curated presentations across the fair’s sections feature John Baldessari, Michaël Borremans, Zadie Xa, Lubaina Himid, Mary Kelly, Moshekwa Langa, Calvin Marcus, Jim Shaw, Wilhelm Sasnal, Monika Sosnowska, Tatiana Trouvé, and Cathy Wilkes, among many others. 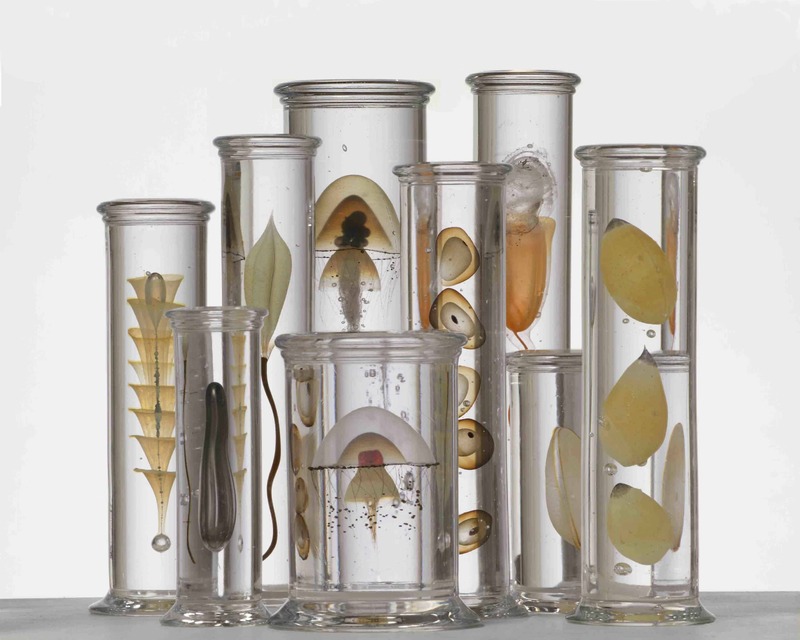 There is much more to discover than just galleries’ booths though. Live, part of Frieze Special Projects, is a platform for interactive installations and performances, presented by galleries. Entitled Control ~, a command on a computer keyboard that unlocks all formulas in a spreadsheet and thus makes them visible, the platform features performances and interactive installations exploring hidden formulas which impact wider social, political, and economic realities. An impressive array of internationally acclaimed artists is participating in the platform, including Christian Boltanski, Camille Henrot, Laure Prouvost, or Julia Scher. While performances happen in between the booths, you also get a chance to unwind and watch new works in the comfort of Frieze cinema. Frieze Film is a series of new moving image commissions premiered at the fair and broadcast on national television. The Otolith Group, Paul Pfeiffer and Lucy Raven are presenting their new project. Frieze Talks, in turn, explores the role played by autobiography in art and society, at a time when personal experience is increasingly being made public and also under renewed scrutiny. Taking place daily in the fair’s auditorium, the talks bring together international participants including Laurie Anderson, Nan Goldin, Kemang Wa Lehulere and Olivia Laing. While Frieze London presents the most cutting-edge contemporary artists, the seventh edition of Frieze Masters features six millennia of art history from across the world, including a strong representation of Old Masters galleries and Asian specialists. Eminent curators from world-class institutions advise on gallery sections and programmes, opening up new perspectives and unexpected juxtapositions, in a contemporary environment designed by Annabelle Selldorf. 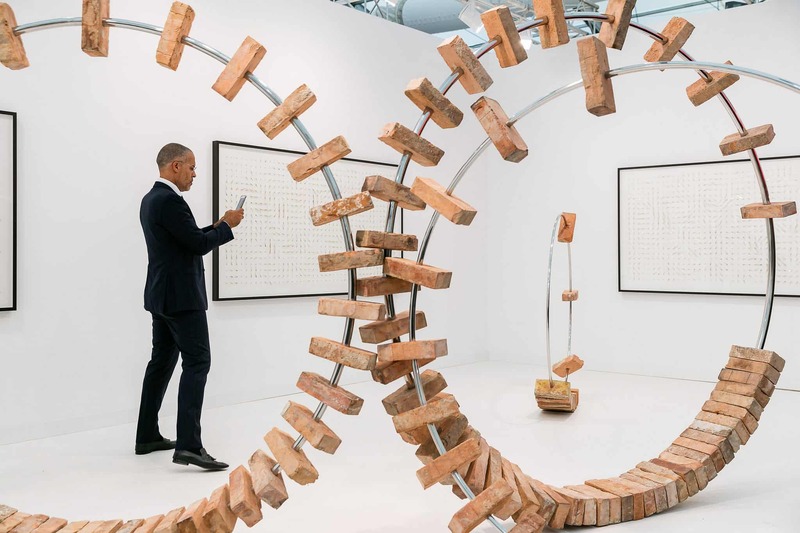 Attending Frieze Masters is a unique opportunity to experience museum-grade exhibitions of works for sale. The 2018 programme is shaped by international curators, who bring unique perspectives on art history and create an exceptional environment for quality and discovery. Tim Marlow returns to oversee the Frieze Masters Talks programme, this year exclusively featuring women international artists, including Tacita Dean, Julie Mehretu and Amy Sillman in conversation with women museum directors and curators. Toby Kamps curates Spotlight, solo presentations by revolutionary figures of the avant-garde; alongside Sir Norman Rosenthal, whose Collections section features a new array of specialist dealers with extraordinary art and objects. Could there possibly be a more pleasurable experience than strolling around contemporary art set in tranquil surrounds of natural environment? 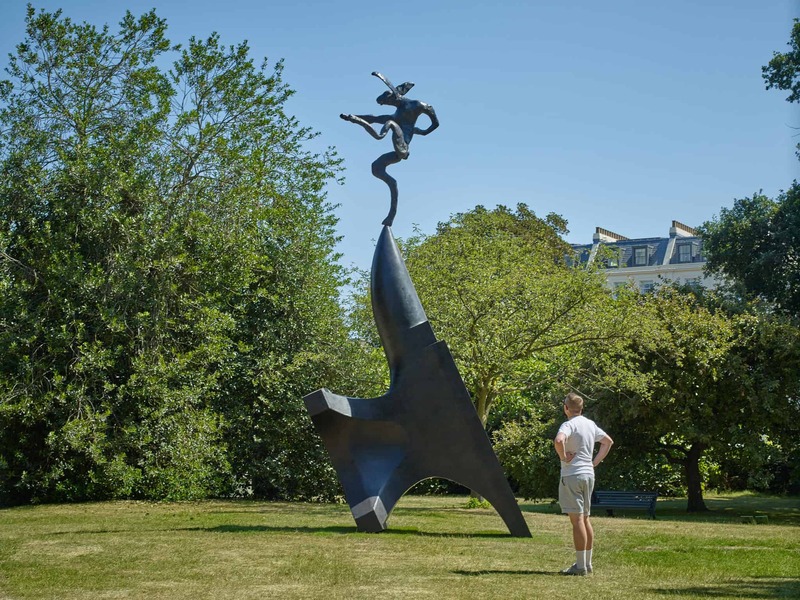 Frieze Sculpture returned to the English Gardens of the Regent’s Park featuring works by 25 contemporary and modern artists from five continents. Selected and placed by Clare Lilley, Yorkshire Sculpture Park’s Director of Programme, Frieze Sculpture has created an exceptional cultural attraction at the heart of the city. To make your walk even more adventurous, Frieze has also launched a new audio tour and family guide app in collaboration with mobile platform ARTimbarc. The natural and animal world is referenced in very different ways with sculptures by a larger than life penguin statue by John Baldessari, an eerie tree by Elmgreen & Dragset, a beguiling work by Kathleen Ryan, a coloured leaf-form by Simon Periton, or Barry Flanagan seven-metre-high bronze featuring artist’s signature dancing hare. Major new works include, among others, Rachel Feinstein’s set of three astonishing Majolica sculptures using classical forms, Shadow Stack made in corten steel by Sean Scully, Hugo Wilson’s piece in bronze referencing baroque Italian sculpture, James Capper’s Treadpads connected with his upcoming public project in London, a shamanistic guru in bronze by Bharti Kher, and one of the newest pieces by Monika Sosnowska. The Frieze Artist Award is a major opportunity for an emerging artist to present a new artwork at the fair. It follows in a rich tradition of artist award commissions at Frieze since 2006, providing early support to artists including Jordan Wolfson, Simon Fujiwara, Rachel Rose and Kiluanji Kia Henda. For the first time, the Artist Award focuses on performance-based work and the winning artist benefits from a career-defining residency at Delfina Foundation in London. This year’s Frieze Artists Award went to Alex Baczyński-Jenkins, a Polish performance artist and choreographer. Working between Warsaw and London, Alex has recently staged a theatrically constructed exhibition combining queer sensuality, eroticism, memory and desire at Foksal Gallery Foundation in Warsaw as well as a show examining the relationships between affection, distraction, desire and loss at Chisenhale Gallery in London. He is also the co-founder of KEM in Warsaw, a queer and feminist project space devoted to choreographic and performative practices. His new commission continues his choreographic practice engaging with queer relationality and the politics of desire, intimacy and friendship. 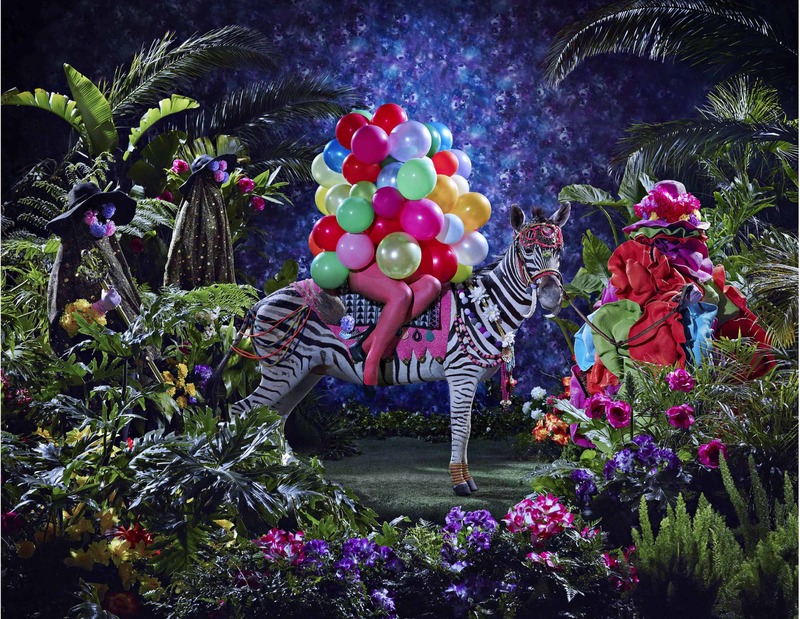 The increasingly compelling African art scene descends once again on London during Frieze Week. Founded by Touria El Glaoui in 2013, 1-54 is the leading international art fair dedicated to contemporary art from Africa and its diaspora with annual editions in London, New York and Marrakech. Drawing reference to the fifty-four countries that constitute the African continent, 1-54 is a sustainable and dynamic platform that is engaged in contemporary dialogue and exchange. For its sixth London edition the fair brings together more than 130 artists and 43 galleries. There are also 11 solo exhibitions and FORUM, a programme of talks curated by Ekow Eshun, exploring convergences across artistic and cultural production, critical thinking and ideas. Among this year’s Special Projects, 1-54 showcases Ibrahim El-Salahi’s first public sculpture in Somerset House’s courtyard and Of Gods, Rainbows and Omissions, an exhibition of new and rarely seen works by the internationally renowned South African artist Athi-Patra Ruga. On display there is also Larry Achiampong’s immersive installation that fuses the domestic and the religious, exploring Christianity’s role in colonialism and diasporic communities living in the West. Many more compelling exhibits await to be discovered inside Somerset House as the fair boldly explores the fascinating shift away from Euro-centric art-historical narratives. Would you like to explore a fair presenting the best of both the established and the emerging talent in the world of art and design? The 12th edition of PAD London has opened its door to the public for an entire week. The city’s leading art and design fair hosts an impressive selection of 68 galleries from 12 countries juxtaposing contemporary, modern and historic design, modern and tribal art, antiquities and collectible jewellery. Attracted by the fair’s strong international clientele, unique location and cross-collecting spirit, 10 new exhibitors join the unparalleled roster of returning galleries. PAD was founded by Patrick Perri in Paris in 1997, followed by PAD London in 2007. 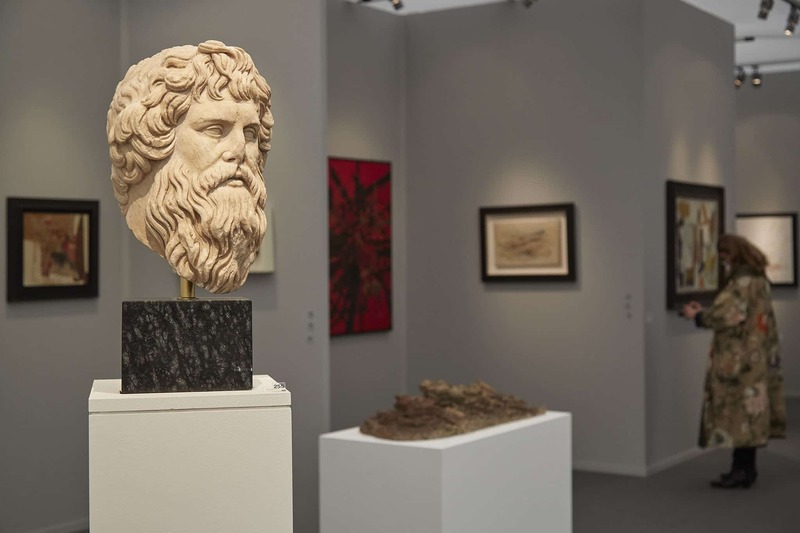 This year, the fair expanded to Geneva in collaboration with artgenève, reinforcing its position as Europe’s leading cross-collecting fair group. This internationally acclaimed fair forges new alliances and brings to the fore an exciting array of up-and-coming designers pushing the boundaries of materials. PAD cultivates eclecticism, authenticity and connoisseurship with unparalleled passion and flair. Its refined setting is designed to inspire collectors, art consultants, museum experts, interiors specialists, design practitioners and the public, making PAD the only fair of its kind. Rachel Maclean has just opened a jaw-dropping show at Zabludowicz Collection. The artist, who has rapidly established herself as one of the most distinctive creative voices of the contemporary multimedia art, creates baroque, hyper-real worlds using green-screen video and computer animation. Maclean spins razor-sharp fables that combine comedy and horror offering a powerful critique of contemporary society and its underlying fears and desires. At exhibition’s centre is I’m Terribly Sorry, the artist’s first piece in virtual reality. An interactive experience set in a dystopian urban British landscape of manic tourist merchandise, it reflects on societal unease and misunderstanding in a culture of voracious documentation, self-performance and voyeurism. On display you will also find an exclusive gallery edition and installation of Make Me Up (2018), Maclean’s major new film commission, whose central protagonist is Siri finding herself trapped inside a brutalist dream house. The main space has been taken by Spite Your Face, the film with which Maclean represented Scotland at the 57th Venice Biennale. Referencing the Italian folktale The Adventures of Pinocchio, the work was made in the context of significant changes in the political climate in the UK and abroad, in particular the divisive campaigns in the lead up to the Brexit vote and the US Presidential election – events central to heralding a new post-truth era. Space Shifters, Hayward Gallery’s new major exhibition, features artworks spanning the past five decades – a period that parallels the Hayward’s own history – by 20 leading international artists that alter or disrupt the visitor’s sense of space. The show brings visitors’ attention to the act of perception whilst transforming their experience of the Gallery’s distinctive brutalist architecture. Often constructed from reflective or translucent materials like glass, resin and mirror, the artworks in the show aim to elicit responses that are both physiological and psychological. The show presents a range of historical and contemporary sculptures alongside immersive, site-specific installations, and several major new commissions. 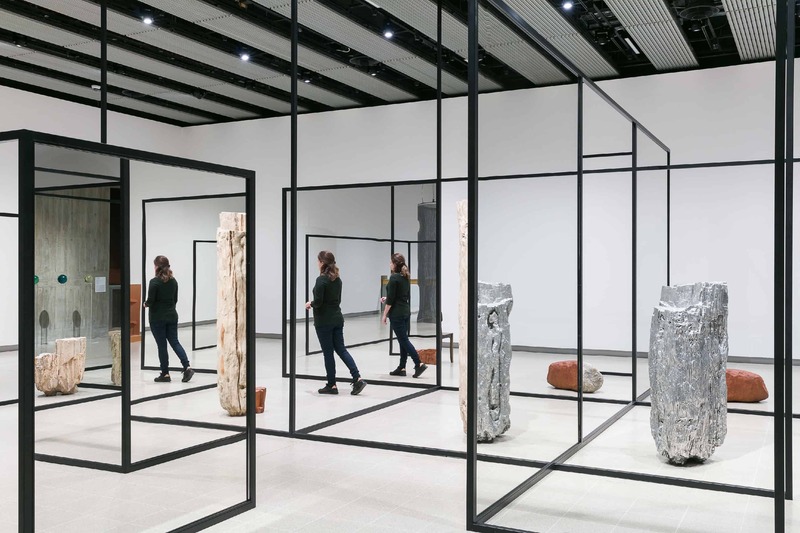 With spatial perception at its centre, Space Shifters is a fitting conclusion to the Hayward Gallery’s 50th anniversary, highlighting and making the most of some of the renovated building’s salient architectural features. Boasting alluring, elegant and playful sensibility, the works form a series of interlinked optical experiences exploring how we perceive objects, their surrounding spaces, and each other. Participating artists are: Leonor Antunes, Larry Bell, Fred Eversley, Felix Gonzalez-Torres, Jeppe Hein, Roni Horn, Robert Irwin, Ann Veronica Janssens, Anish Kapoor, Yayoi Kusama, Alicja Kwade, John McCracken, Josiah McElheny, Helen Pashgian, Charlotte Posenenske, Fred Sandback, Monika Sosnowska, Daniel Steegmann Mangrané, De Wain Valentine and Richard Wilson. Are you looking for a truly visceral experience? Tate Modern’s Turbine Hall, which has hosted some of the world’s most memorable and acclaimed large-scale works of art, won’t disappoint you. Tania Burguera, a Cuban artist best known for her politically-engaged projects and activism, has been commissioned to responded to this vast, former industrial space and transform public perceptions of contemporary art. Over the past 20 years, Bruguera has become renowned for creating art that addresses major political concerns, often taking the form of a political or social action. Her work questions the nature of power structures, behaviours and values. She has consistently argued for art’s role as a useful agent of real change in the world, while using the museum as an active forum for public debate. Burguera has already established a unique concept for her political approach to art – Arte Util (useful art) – one that has continued to be developed during her Hyundai Commission and will also continue during artist’s residency at Tate Exchange throughout October. Don’t let the horses in the photo mislead you, they are from Burguera’s previous work Tatlin’s Whisper #5 (2008), which involves two mounted police officers performing crowd-control exercises inside the museum. This time, however, the parts of the artwork are much more ephemeral as they involve tears and sound. Discover on your own what roles proximity, distance and physically being together play in relation to social bonds, and to making people comfortable with difference. Brace yourself! The work is bound to take you on a very emotional journey. 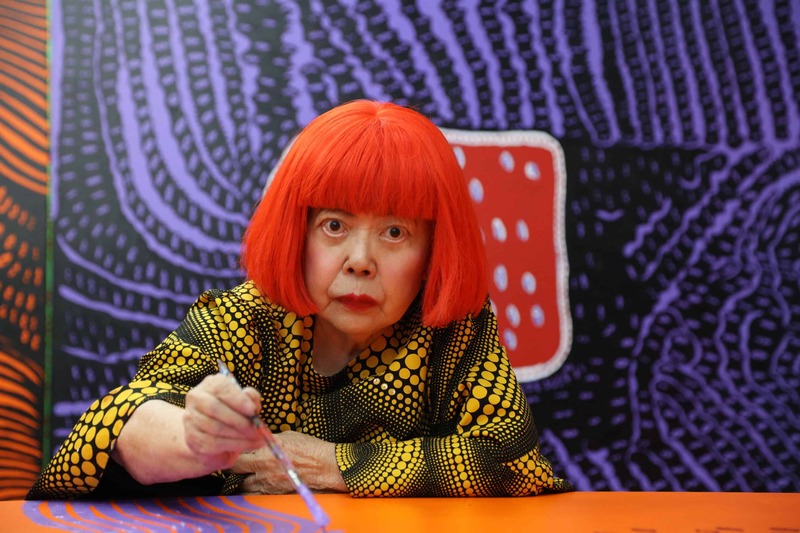 Throughout her career, Yayoi Kusama has developed a unique and diverse body of work that, highly personal in nature, connects profoundly with global audiences. Her wide ranging practice reflects a lifelong preoccupation with the infinite and sublime, as well as the twin themes of cosmic infinity and personal obsession, as found in pattern and repetition. The new exhibition is testament to an artist at the height of her powers as she approaches her 90th birthday. Taking place across Victoria Miro’s Wharf Road galleries and waterside garden, the exhibition feature new paintings, including works from the iconic My Eternal Soul series, painted bronze pumpkin and flower sculptures. The exhibition also marks the debut of a new Infinity Mirror Room, which will envelop visitors inside a large mirrored room with paper lanterns covered with polka dot patterns, which are suspended from the ceiling. Conveying the illusion of being unmoored in endless space, this large-scale work is the latest example of Kusama’s famed immersive environments. It offers a sense of infinity through the interplay of the rhythmic patterns of colourful spots covering the black spherical lamps and the surrounding mirrors. 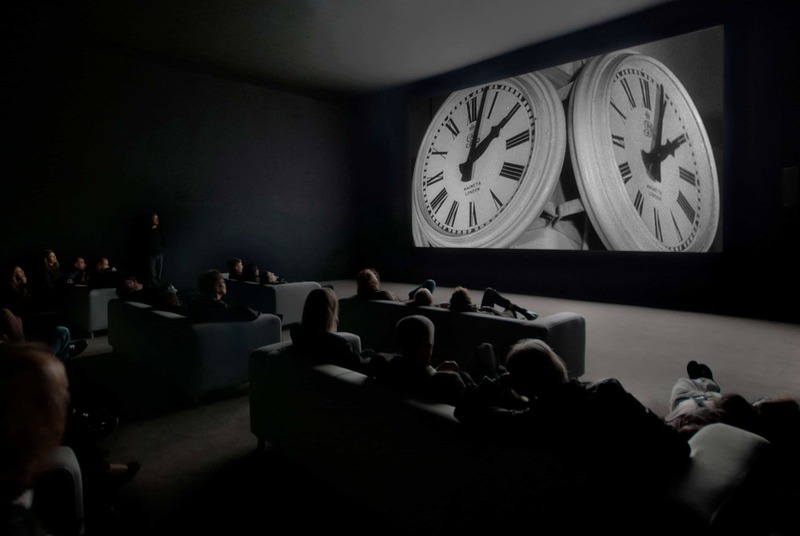 Captivating audiences across the world since its debut in 2010, The Clock is a thrilling and poignant 24-hour video brining together thousands of film and television clips that depict clocks or reference time. Following several years of rigorous and painstaking research and production, Marclay edited these excerpts to create an immersive visual and sonic experience. Combining clips spanning 100 years of well-known and obscure films, including thrillers, westerns and science fiction, audiences watching The Clock experience a vast range of narratives, settings and moods within the space of a few minutes, allowing time to unravel in countless directions at once. This landmark work operates as a gripping journey through cinematic history as well as a fully functioning timepiece. The Clock is synchronised to local time wherever it is on display, transforming artificial ‘cinematic time’ into a sensation of real time inside the gallery. 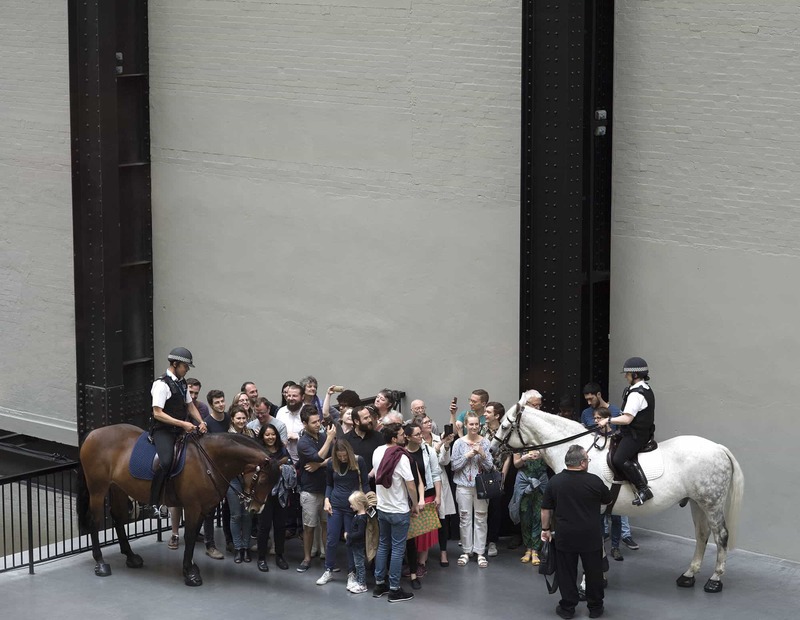 The public are welcome to experience the masterpiece during Tate Modern’s regular opening hours and there will be an additional 24-hour screening on Saturday, 6th of October. Once you are in the screening room the magic takes place and the marvellous quality of an art masterpiece reveals itself: you become hypnotised and do not want to leave! What is the relationship between art and architecture? How to design fascinating spaces to show, make, and live with art? To what extent are cultural buildings public spaces? What function do museums and galleries have beyond exhibiting art? Would you like to hear leading architects, artists, and critics answering these questions and discussing the role of architecture in shaping the cultural landscape? Frieze Academy presents a full day conference taking place in London and coinciding with Frieze London & Frieze Masters. The third edition of the Frieze Art & Architecture Conference looks at recent projects from architects around the world to consider how the form and function of cultural institutions are evolving, and presents long-term works by artists who are reassessing how and where we live. Speakers include: Shigeru Ban, Jamie Fobert, Richard Rogers, Christopher Kulendran Thomas, Ellen van Loon, Kulapat Yantrasast and Andrea Zittel. It is a must-attend event for anyone looking to commission architecture, or anyone curious about how artists and curators envision architecture for art. With a series of startling actions in the early 1970s, Burden challenged his own mental and physical limitations, and with them the boundaries of art and performance. Shut inside a locker for five days (Five Day Locker Piece, 1971), shot in the arm (Shoot, 1971), and nailed through the palms of his hands to the roof of his Volkswagen (Trans-fixed, 1974), he sought to reflect the violence that defined American politics, society, and media. Over the course of his career, the daring spirit of these early performances evolved into compelling large-scale sculptures that embody technical feats on an imposing scale. 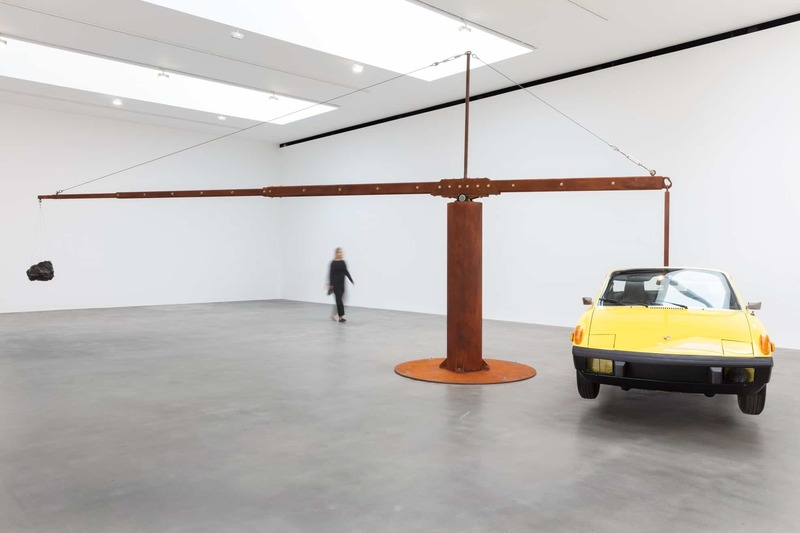 Measured brings together two large-scale works by Chris Burden: 1 Tone Crane Truck (2009) and Porsche with Meteorite (2013): a functional 1964 F350 Ford crane-truck is held in balance with the weight of a one-ton cast-iron cube, and a Porsche 914 sports car suspended in equilibrium with a meteorite. In these works, Burden pushed a precarious sense of balance drawing attention to the relativity of size, weight, and value.